There has been quite a bit of talk about the Bucks trading Juice Mayo, Big Ers and Larry. It ain't happening. Those three players are untradeable and the Bucks might as well deal with it. Here's why, along with some expectations on what can be done with each player. Untradeable because... he was injured or out of shape last season. Juice Mayo has two years totaling $16 million left on his contract. If he was a free agent he probably wouldn't even get a guaranteed contract for the veteran's minimum of about $1 million. 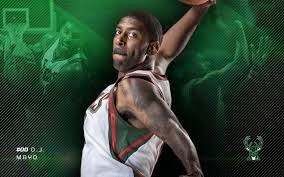 I am a Bucks fan. I like to write about the Bucks. I also am a connoisseur of sports stadiums. I find them fascinating. One of the most fascinating parts, at least to me, is how they are financed. I read the Field of Schemes blog daily. I read countless local news articles on stadium financing. I even read lease agreements and financial statements related to stadiums occasionally. Today, I was linked to the Bucks Arena FAQ on Brewhoop. Oy, is it bad. It is written by someone who doesn't follow sports stadiums and stadium financing closely. It is so bad, in fact, that I have written a Real Answers to FAQ on the Bucks' Arena Push below. Enjoy. (And feel free to comment below if I've missed any Qs that are FA). Do the Bucks need a new arena? Let me rephrase: Why to the Bucks say they need a new arena?